Passengers will have a unique opportunity to travel with Fredbird on Oct. 10 and celebrate the St. Louis Cardinals’ Central Division title on their way to fun, family-friendly activities focused on safety. You’re invited to join Fredbird on MetroLink and ride to the 9th Annual Child Safety Day. 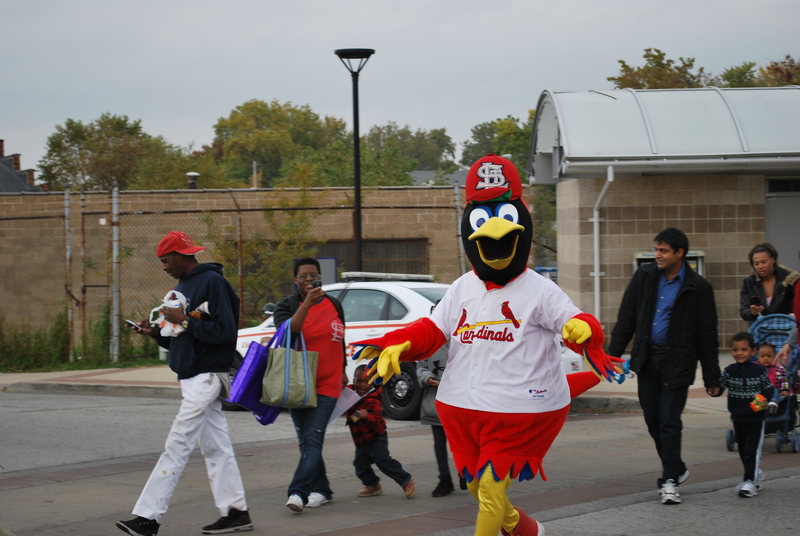 Fredbird will board the westbound MetroLink train leaving the Grand MetroLink Station at 9:51 a.m., and ride to the Delmar Loop MetroLink Station for Child Safety Day. During the trip, special items will be given away to the children riding along. Children 4 and under ride free on MetroLink, and adults and children 5 and older must have a valid Metro ticket or pass to ride on MetroLink. Child Safety Day takes place on Saturday, October 10, from 10 a.m. to 2 p.m. at the corners of Delmar Boulevard and Hodiamont Avenue, adjacent to the Delmar Loop Station. The annual event is free and open to the public. The event focuses on teaching families how to stay safe on the street, safe in the car, safe on bicycles, safe around strangers, safe on the Internet and safe at home, especially during home emergencies like fires. Child Safety Day features fun activities for children, including live music by Zion and the Yard Band, and free bike helmets for kids, while supplies last. It also features great resources for parents and grandparents when it comes to information about keeping children physically, emotionally and socially safe. The St. Louis Metropolitan Police Department, St. Louis Fire Department, St. Louis Cardinals, St. Louis Rams, Helmets First, Missouri Department of Health and Senior Services-Office of Minority Health are just a few of the many participants who are committed to keeping children safe.